– Stephen King, Different Seasons. Open data and social media can help emergency management practitioners better prepare for and respond to emergencies. Emergency managers need a data platform that is easy to use and easily scalable. They need a system capable of aggregating data from multiple sources including different agencies, GIS, social media and more. It must be able to process data into a format that allows for quick evaluation by on-scene leaders, responders and community members. The data must be formatted for dissemination throughout multiple communication channels and different data platforms. Lastly, the system needs to display data in a format that is easily understandable by both emergency responders and the public. Such platforms have been built, but are they being used? Companies such as the San Francisco-based Appallicious are creating such systems. However, communities and emergency response agencies have been slow to adopt. There may be many reasons why a community or organization chooses not to adopt this new technology. Cost, current contracts and resistance to change are all potential reasons. Emergency managers may be reluctant because such platforms have never been used. Their effectiveness is simply an unknown factor. Emergency response is an industry where doctrine is written in blood. Practitioners know the current system is outdated but they also know the results to expect. The aftermath of their decisions are measured in lives, as well as dollars. Change is hard under the best of conditions and nearly impossible when lives are on the line. What can be done to help emergency practitioners adopt new data technology? Appallicious CEO Yo Yoshida believes the answer is simple. Allow for innovation. Currently a few large players control the majority of government contracts that provide software and data platforms. Small companies could provide a better product tailored to the needs of the community or organization for a fraction of the cost. Open source collaboration has been successful in other areas and it can be in emergency management as well. The money saved by opening contracts to smaller, specialized companies could be reinvested in an innovation fund that would allow emergency managers the ability to try new technology before using it in a real emergency. The benefits of such technology go far beyond the value practitioners receive. The lower price points compared to traditional government contracts allow communities of all sizes and different wealth levels to improve community resiliency. What if first responders could access active code violations before entering a building? What if FEMA could access a community’s resiliency platform and tailor the deployment of relief supplies to the unique needs of the affected community? What if a single forestry substation could scale operations to include local, regional, state and federal agencies as needed with nearly zero loss of efficiency or situational awareness? Data from apps such as Waze could provide real time updates on road conditions and potential safe routes. Instagram and Twitter can provide real time updates and photos of current conditions. Community-based Facebook pages can be used to organize aid and volunteers safely outside the affected area. 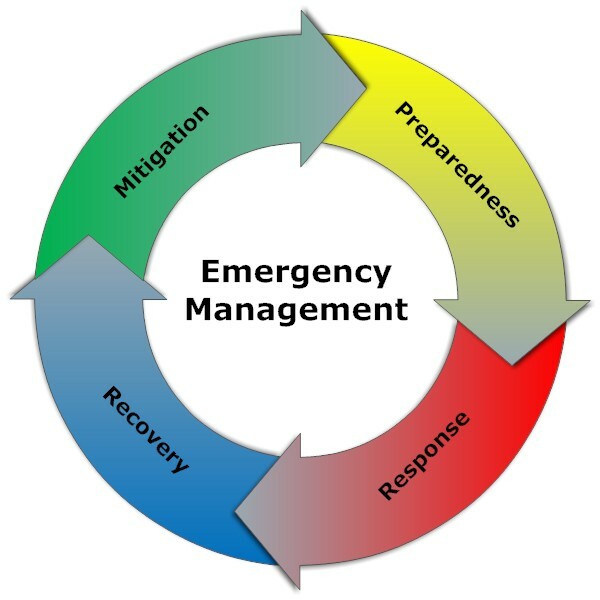 New emergency management data systems can aggregate this data to form a more complete picture of the conditions practitioners must consider. Community members also benefit from a more robust data management system. An October 2015 article from the Pew Research Center reports 65 percent of American adults use social media in some form or another. In another study, Pew found 90 percent of American adults have cell phones and 64 percent own a smartphone. Severe weather warnings and Amber alerts are already sent as texts through the wireless emergency alert system, but more can be done with the technology. Imagine the impact of a system the allows emergency responders the ability to send GPS-enabled egress directions to community members hit by disaster—virtual safe routes in and out of an affected area that would not only get people to safety but could also send them to the shelter or safe zone best equipped to handle their needs. Reduced costs, better functionality and greater collaboration between agencies are just a few of the reasons why it is time to adopt new data management platforms. Emergency management has come a long way since the days of the bucket brigade. Today’s practitioners have some of the most advanced life-saving technology at their fingertips. Providing these professionals with new, more robust data management systems will help ensure they are always prepared for the worst.